What’s one thing we all really want? That’s an easy to answer question – we want to be able to do what we want, when we want. In a word, we want freedom. What’s the easiest way to make that happen? Simple and complicated are at opposite ends of the spectrum. Complicated things takes more time and more effort. So why would we put up with complicated lives? Sometimes we don’t have a choice, sometimes complication is thrust upon us. Like illness or other outside influences beyond our control. There we can manage the complication and do what is in our power to make it less onerous. Thankfully, for most of us those kinds complications are actually few and far between. Most complications in life actually come about because we let them. Not because we’re slacking, but because we aren’t conditioned to be asking ourselves how to make things easier. We’re actually conditioned toward the exact opposite……life is *supposed* to be complicated, chaotic and crazy! We live in a world where busyness is a badge of honor. Regularly relaxing is a kind of fantasy. Do more, be more – produce, produce, produce! Confession – I used to buy into all of it! I filled my schedule to the brim. I did what I thought I ‘should’ do. I definitely didn’t look for the easy way (that’s for lazy people, or so I thought – now I know it’s what smart people do!). And now that I know better, I live better. I’m content and I’m happy – neither of which I was before. And that’s in part because I am always asking myself how can I simplify things – what can I do to make my life easier and less stressful? Where are opportunities to pare away? What can I drop altogether? 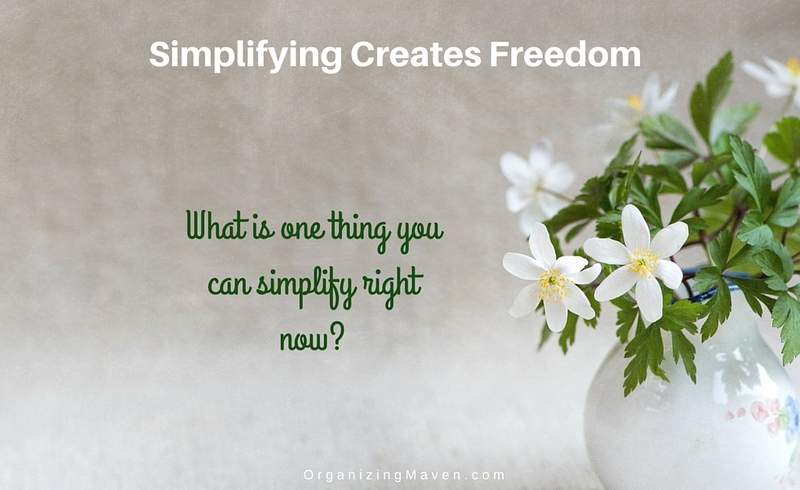 One, what is one thing you can simplify right now? It can be as simple as deciding you’ll buy something to bring to a 4th of July celebration instead of making it. It can be as significant as resigning from a committee or dropping an activity. Or maybe you’ll decide to create a routine (they are a simplifiers secret tool!). All that matters is you decide to simplify something now! Two, get in the habit of actively seeking out ways to simplify your life. When you do, you’ll be rewarded with freedom. Let’s disrupt the idea of complicated living as a given! And let’s truly enjoy our lives while we have them. Want more little tips like this? 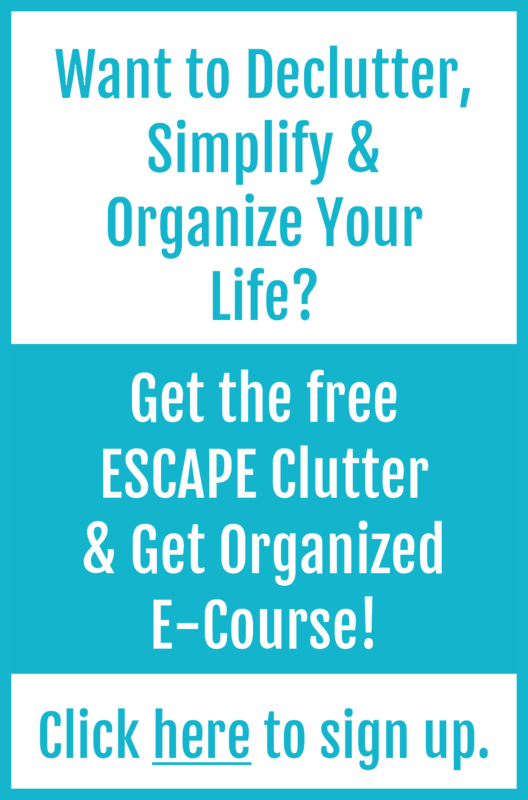 Join the Clear Your Clutter, Find Your Happy community. We’re a supportive group of like-minded souls. We focus on clearing the clutter from our lives, getting real things done, working toward our goals and creating happy, fulfilling lives – you can find us here. We’d love to welcome you!